The banner reads: We, Believing People of Simojovel, demand that the government does not betray the dialogue with the CNTE like it betrayed the agreements signed in San Andrés with the EZLN. Thousands of Indigenous faithful from almost 50 parishes of the San Cristóbal de las Casas Diocese marched today (Monday) in the Chiapas capital in support of the teachers’ movement. During the mobilization they demanded that the federal government “not betray” the National Coordinator of Education Workers (CNTE), like it betrayed the Zapatista National Liberation Army (EZLN) in the San Andrés dialogues. For the fifth time, the Catholics of Pueblo Creyente marched for several kilometres from the state capital’s eastern exit until reaching the central plaza, where after issuing a pronouncement in favour of the teachers in the occupation, they held a mass, an act in which there were prayers, songs and chants in favour of the teachers’ fight. During the march Father Gustavo Andrade, from the parish of Venustiano Carranza, and the priest Marcelo Pérez Pérez, from the Simojovel temple, celebrated the realization of this approach between the CNTE and the Secretariat of Governance (Segob) to achieve agreements that permit satisfying the teachers’ demands against the education reform. 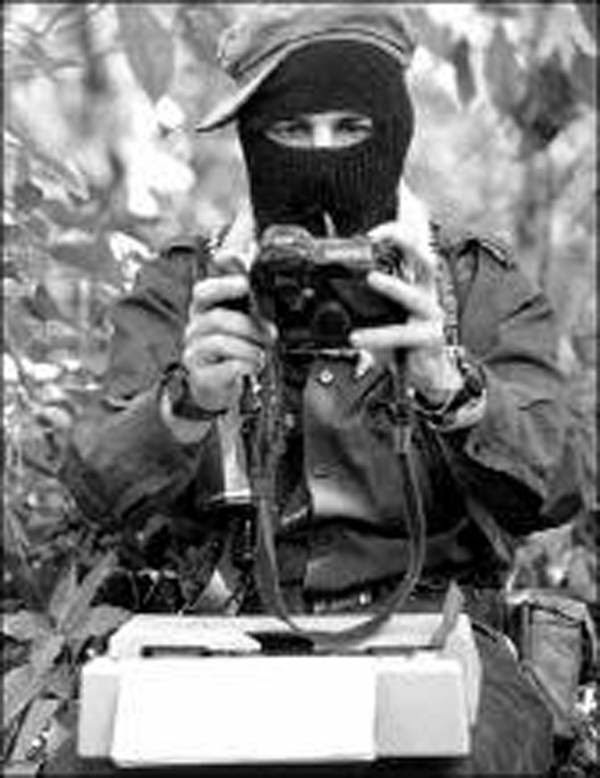 Nevertheless, it was Pérez Pérez who stated his concern that the federal government “would betray” its word as it already did with the EZLN, after the agreements from the dialogues in San Andrés in 1996. “We are worried, we must be attentive and alert so that the government does not betray its word, because it would not be the first time in which the government failed to fulfil the agreements that it signed,” said the parish priest that marched with the banner of the Virgin of Guadalupe. With drum music, and accompanied by the sound of the conch shell, the faithful arrived in the capital escorted by thousands of teachers who protected their walk for several kilometres until they reached the central plaza. There on the platform the parish priest of Tila, Heriberto Cruz Vera, asked the teachers not to stop their fight against unjust laws, and if for this fifth time they left their communities, it is because they consider it a peaceful struggle to which they have the need to add themselves. He asked the priests that don’t leave their parishes to tour the Chiapas communities and observe the misery, poverty and marginalization, the places in which the teachers work in the most undignified conditions. “We want a reform that really benefits the teachers and the boys and girls of Chiapas, a reform that really puts an end to those destitute conditions in which classes are imparted in Chiapas, not a reform that attacks the teachers’ labour rights,” Cruz Vera said. Also on the platform was Father Joel Padrón, who along with Cruz Vera is considered a disciple or follower of the work that the late Bishop Emeritus Samuel Ruiz García constructed and left as a legacy. Joel Padrón is a parish priest who was persecuted and imprisoned in the 1990s, and who the state government of Patrocinio González Garrido accused of promoting the invasion of ranches. It was during his incarceration 25 years ago that what is called Pueblo Creyente (Believing People) was born as a Catholic organization that defends the rights among the indigenous peoples and communities of Los Altos of Chiapas. Today, Pueblo Creyente alerted the teachers in a missive not to cede in their fight, because in they have great social support in the state from those who believe and trust in them to achieve that the government retracts the unjust laws, like it did with the so-called 3×3 Law after minimal protest of a group of business owners.